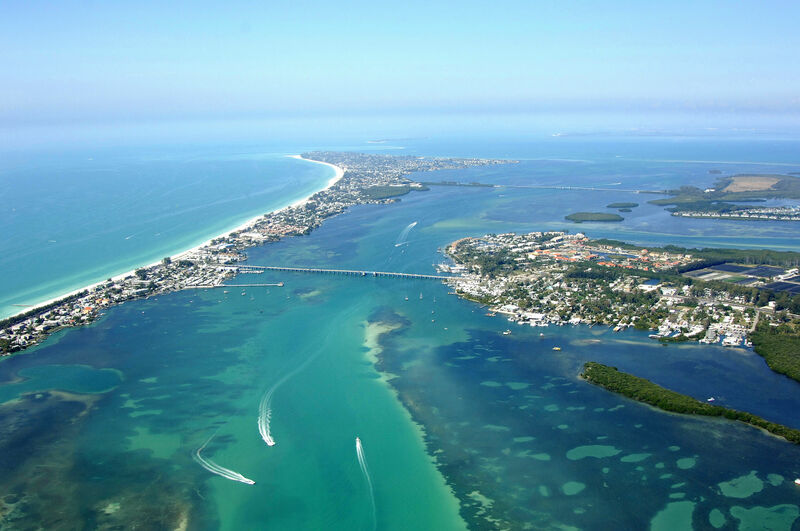 Laid back and natural, Anna Maria Island is a barrier island located in the Northwest corner of Bradenton and only 20 minutes from the downtown area. Anna Maria Island has a seven-mile strip of beautiful white sandy beaches that are lined with casual and elegant beachfront dining. Also found here, at the southern mouth of Tampa Bay, are the cities of Bradenton Beach, Anna Maria, and Holmes Beach. Anna Maria Island is known for its dazzling beaches and sunsets and its shabby chic accommodations full of colorful, Island-style. You will also find funky stores like Ginny’s and Jane E’s, art galleries, plenty of fishing, the free trolley, festivals, beach weddings, and great dining options. What you won’t find here are high-rise buildings, hotel chains, and fast food burger joints. Anna Maria is increasingly becoming a popular destination for national and international travelers. This timeless hideaway has been featured in numerous publications over the years including: The New York Times, USA Today, Coastal Living, Southern Living, The Washington Times, The Miami Herald, The Orlando Sentinel, Geo Saison (A German Magazine) and countless others.